The Saris MTR hitch rack is full of user-friendly features. The Saris MTR hitch rack is coming soon and aims to address the bulk of the bugaboos of all previous bike hitch racks. Foremost is the Saris MTR hitch rack’s clever tray design (the MTR stands for modular tray rack). In place of one long unit are separate left and right trays that can be rotated 90 degrees to lie nested and parallel to the hitch beam. The Saris MTR hitch rack’s individual right and left trays swing inward via a pull tab release. This gets the trays out of the way for loading and unloading multiple bikes, and provides easy access to tailgates and hatchbacks. The Saris MTR hitch rack’s nested arrangement also forms a much lower rack profile for avoiding accidental contact from following vehicles or in a parking lot. Finally, it makes removing, carrying and storing the rack much easier, especially with a thoughtfully provided built-in carry handle. Tire clamps can be adjusted up and down with a hex wrench, which are helpfully provided in a stash box on the rack beam of the Saris MTR hitch rack. 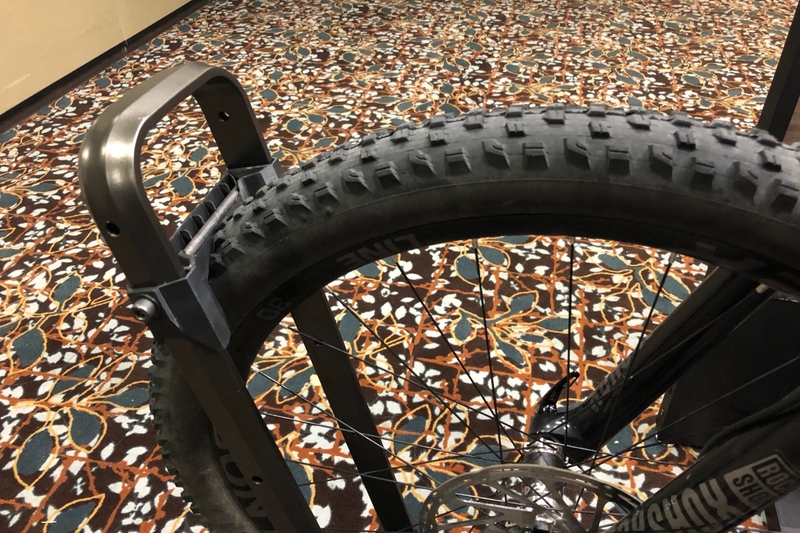 With the Saris MTR hitch rack, bike wheels are secured by wrap-around internally ratcheting arms that can accommodate every tire width from fat and e-bike to road. 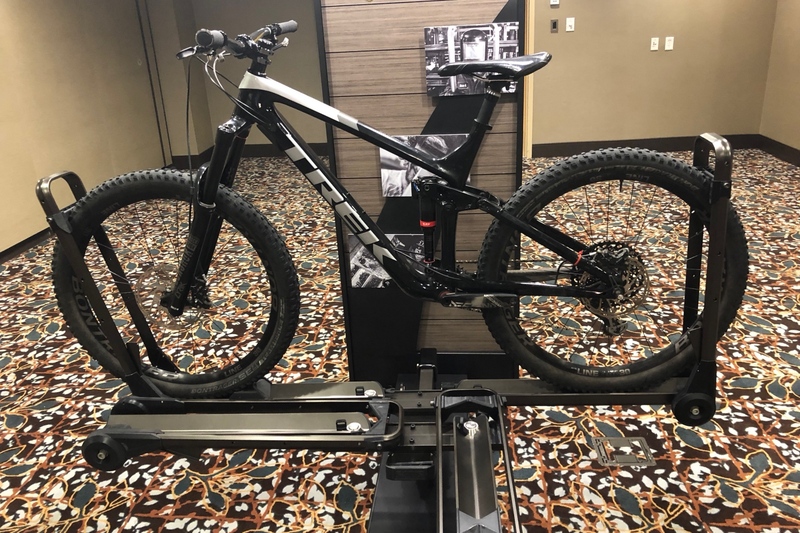 Arm clamps can be adjusted from 29er down to 20-inch wheels, while the trays are long enough for up to 52-inch wheelbases. Folded-up, the Saris MTR hitch rack offers plenty of rear-view and back-entry clearance. 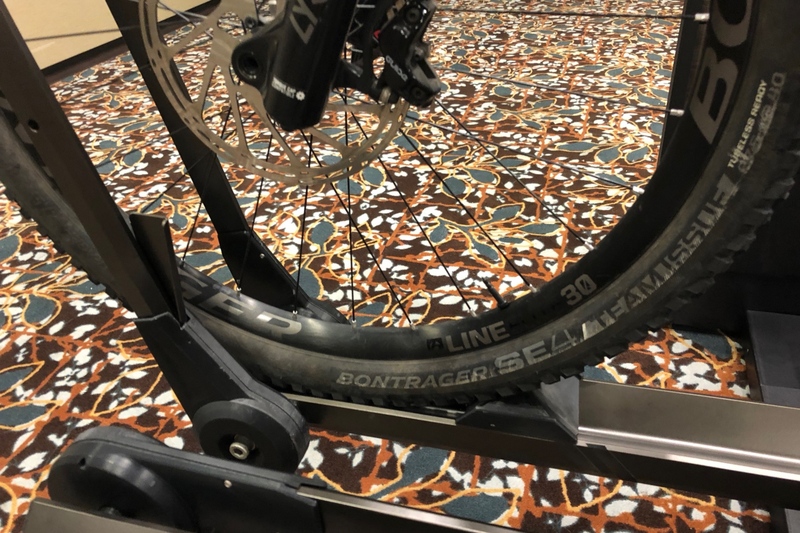 The Saris MTR hitch rack’s single-bike base unit comes in 1¼” and will include an adapter for 2” hitches, while the two-bike base is 2-inch only. Both bases will take one or two bike add-on. The bases, as well as the single bike add-on are capable of carrying bikes up to 60 pounds. The two bike add-on will be limited to two, 35 pound bikes. Securing the beam to the hitch receiver is tool-free. 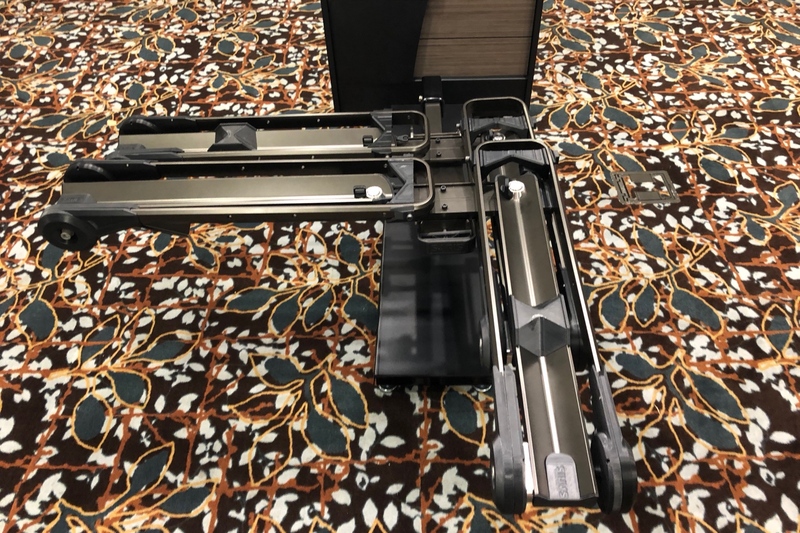 The hitch pin of the Saris MTR hitch rack has a collapsible knob needing only hand force to screw it in and at the same time engage the internal expander enough to keep the beam tight in the receiver. For anti-theft, the Saris MTR has a hitch lock with the same core as separate locking cables for each tray — one key for all. A front-wheel stop adds stability to the Saris MTR hitch rack, while the internal ratcheting mechanism is protected against the elements. And there is no protruding knob or mechanism to get whacked in case of a low-clearance vehicle hitting a water bar or driveway curb. A convenient pedal switch activates three rack positions — upright, flat and tilted down. Nearly all of the Saris MTR hitch rack will be user-serviceable, with the possible exception of the ratchet pawls. 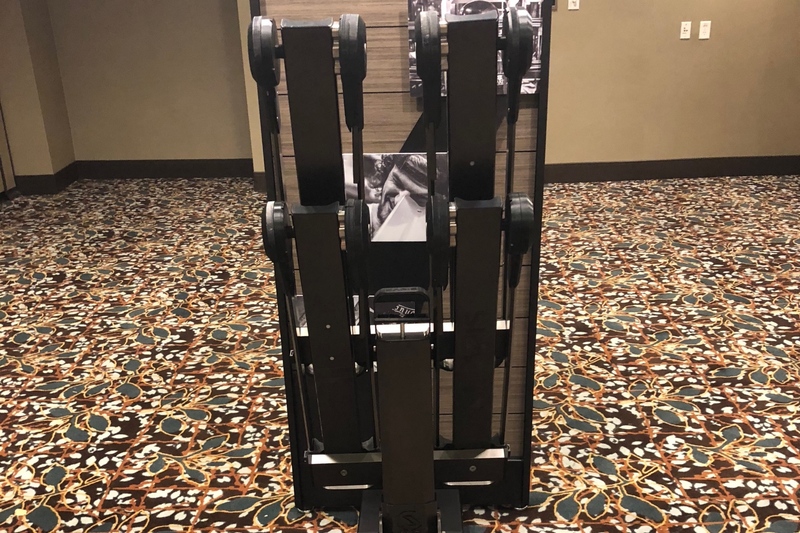 The single rack has a claimed weight of around 40 pounds, with the dual is at 60 pounds, and four-by at a little over 100 pounds. It will come to consumers completely assembled. Here’s a side view of nested trays that shows the Saris MTR hitch rack’s low profile. Machining, fit and finish are all top notch. 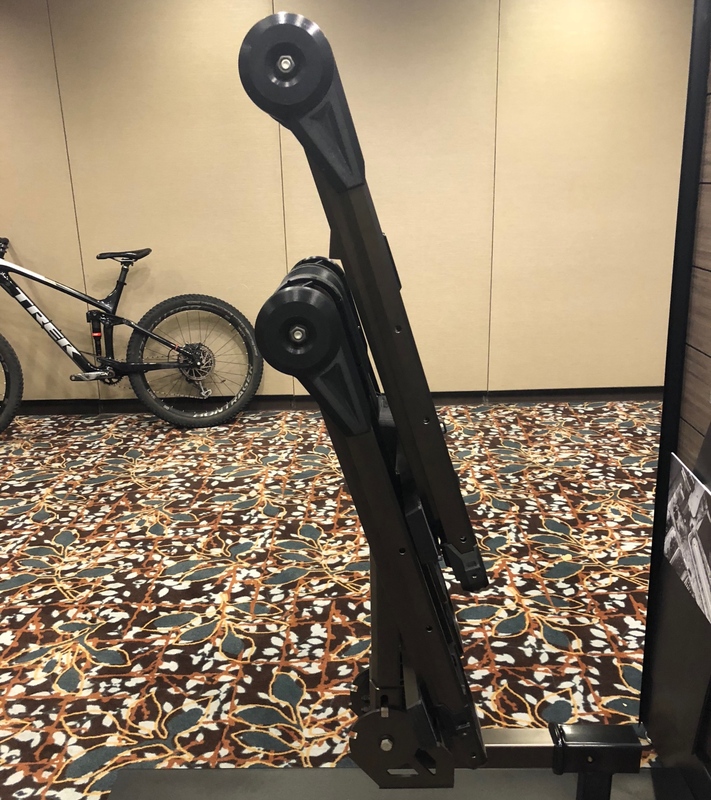 The prototype Saris MTR hitch rack shown to Mtbr featured a polished gunmetal that was said to be close to the final color. Release date and pricing have not been announced. And while it won’t come cheap, the Saris MTR hitch rack appears set to be a true game-changer. For more info, keep an eye on www.saris.com. You had me at “it will come….completely assembled”! Looks cool. Need a hitch rack comparison against all the Big Boys. 1upUSA is the best rack. Why don’t you review it? A “true game changer?” Hardly. Looks a lot like the 1UpUSA rack, but heavier and more complicated. It’s biggest issue is one that affects all similar racks. If this is mostly painted steel, it will end up like all our previous similar racks, rusted out and trashed within a couple of years unless you regularly remove and store them. We have two 1UpUSA racks we leave on our cars constantly that continue to work and look great. Anodized aluminum and stainless steel hardware is the way to go! No corrosion at all and one is over ten years old. For what this will cost, just get a 1UpUSA. We are not associated with 1UpUSA in any way. We’re simply satisfied long time customers whose buddies have all bought 1UpUSA once they’ve tried ours.